Tracking your dive used to be complicated, requiring the use of a dive watch, depth gauge and dive tables. But with a dive computer, you’ll only need one tool to track all aspects of your dive. All three individual tools are packed in one nifty device to provide excellent functionality. The best dive computer should have all standard features and a few extras. That is, it should have an easy-to-read display, low battery warning and enriched air compatible. 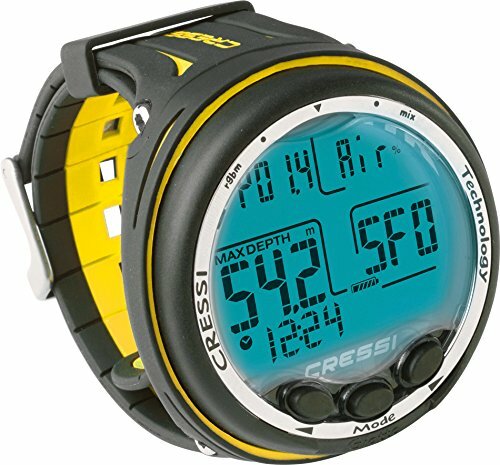 The display, which is often the size of wristwatch should provide information about time, depth, no stop limits and time remaining, ascent rate, emergency decompression, and details of the previous dive. Extras can be altitude adjustment, multiple gas computers for technical diving, display about the amount of air in your tank, self-adjusting decompression model, and dot matrix screens. When choosing a dive computer, always look for the “must haves” first before the “nice to have”. This is the first mixed gas dive computer built entirely by Italian brand Cressi. It has a 3-button interface that lets you program Air, Nitrox and Gauge Modes. 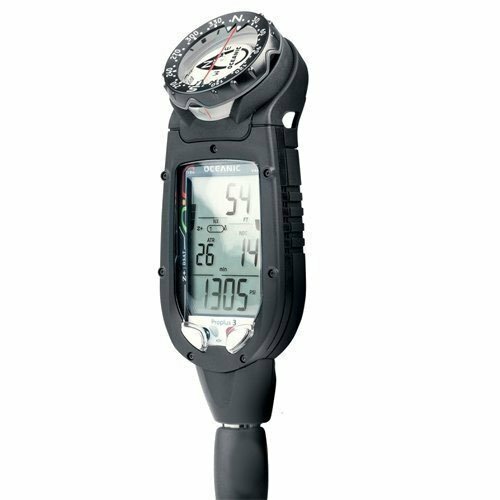 The HD screen shows you large numerical displays of vital information you need to track during your dive, such as depth level, air pressure and air in tank. As a dive computer for mixed gas, its software can handle different hyper-oxygenated mixtures that can be selected during the dive. Bigger than the usual wrist-attached dive computer, one of the best features of this model is the large display that is not only easy to read, but displays more information in one go. 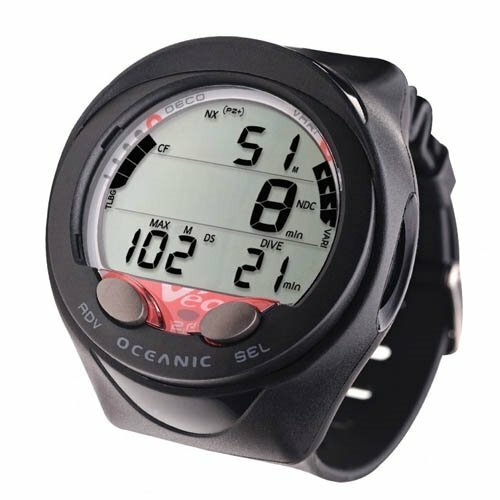 It features a Patented Air Time Remaining algorithm that accurately calculates the amount of time you have for a dive based on your personal air consumption and current depth. You can choose between two decompression algorithms – Pelagic DSAT (Spencer/Powell data basis) or Pelagic Z+ (Buhlmann ZHL-16C data basis). 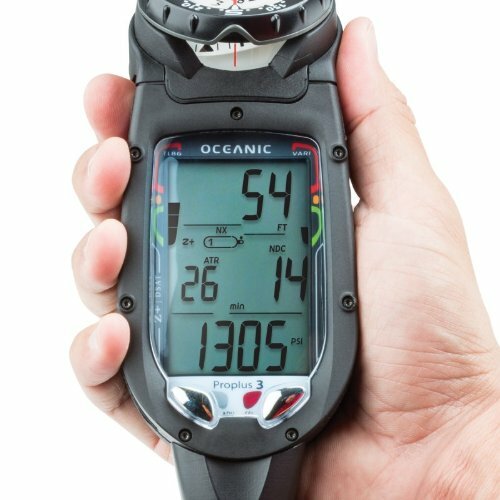 One of the best dive computer you can find online. Small as a wristwatch, but big in features. The Oceanic Atom 3.0 dive computer is powered by the Exclusive Dual Algorithm from Oceanics. You get to choose which algorithm best suits your dive, ensuring your safety won’t be compromised. It features a Wireless Air Integrated Technology that provides accurate and streamlined information on tank pressure. Unlike other dive computers, this model is not only sleek in function, but also in style. Use it out of the water and it can rival some of the best dress watches. 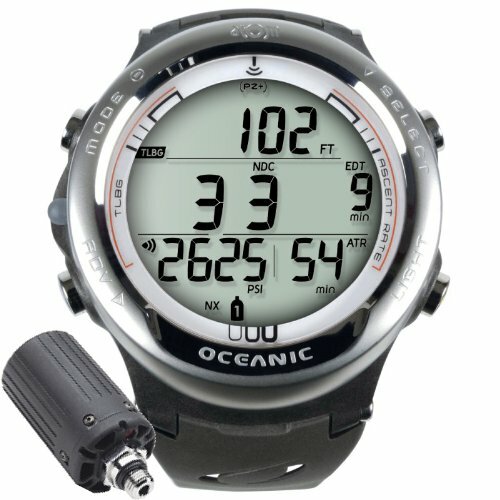 Another product from Oceanic, the Veo 2.0 wrist computer has all the bells and whistles you can expect from the brand and more. It comes with 3 operating modes for Air and Nitrox (NORM), run timer (GAUGE), and track calculations (FREE). To set personal options, simply use the operating buttons Step Forward and Fast Scroll. The best dive computer must be designed for safety and with a user-friendly interface.